SANTA FE – The Department of Game and Fish is seeking public comment on proposed revisions to the Migratory Game Bird rule. The department is proposing small changes in migratory game bird hunting, including incorporating Federal recommendations on migratory bird seasons and adjusting season dates for calendar dates. Farmington: 6:30 to 8 p.m. April 11 at the Farmington Civic Center, 200 W Arrington St. The proposals will be available on the department’s website, http://www.wildlife.state.nm.us/commission/proposals-under-consideration/, in early April prior to the public meetings. 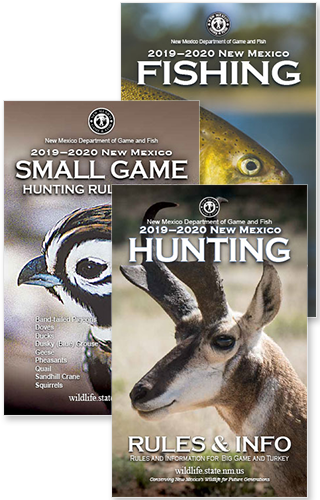 Comments on the proposed changes can be provided by mail: New Mexico Department of Game and Fish, Attn: Waterfowl Rule Development, P.O. Box 25112, Santa Fe, NM 87504; by email, DGF-Waterfowl@state.nm.us or in person at one of the meetings listed above.